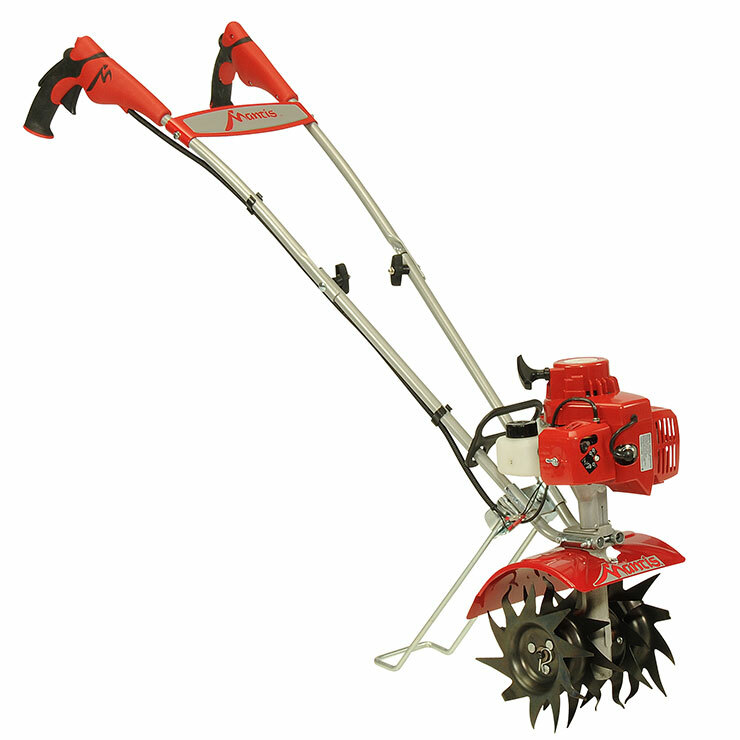 All the features of the 2-cycle, plus the addition of our popular FastStart technology! 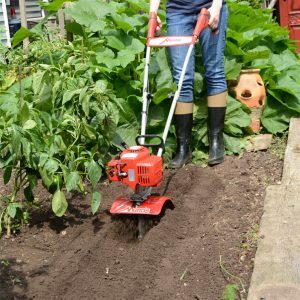 You’ll get to the fun part of gardening faster and easier than you ever dreamed possible! 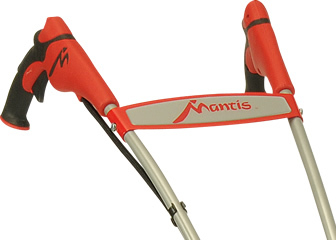 The Mantis 2-Cycle Plus Tiller/Cultivator is the lightest tiller available (just 20 lbs! 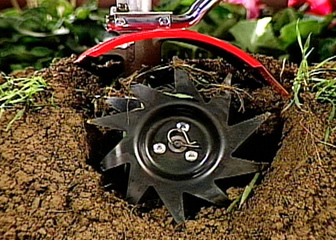 ), but takes on heavyweight projects like busting tough sod or digging a planting hole with ease. 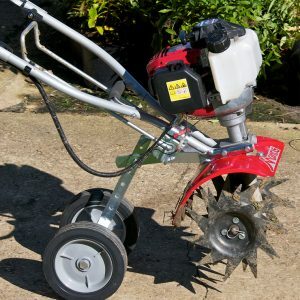 Plus, with a simple flip of the tines, you can precision-weed around delicate plants and seedlings! 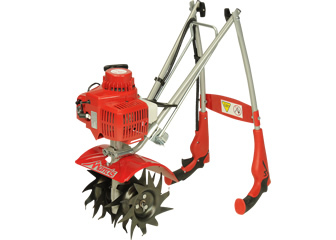 Gear design and specially designed tine geometry generate maximum digging and cultivating speed. Delivers maximum performance with minimum weight. 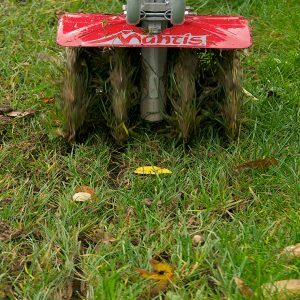 Till up to 10” deep with the Mantis Tiller/Cultivator. 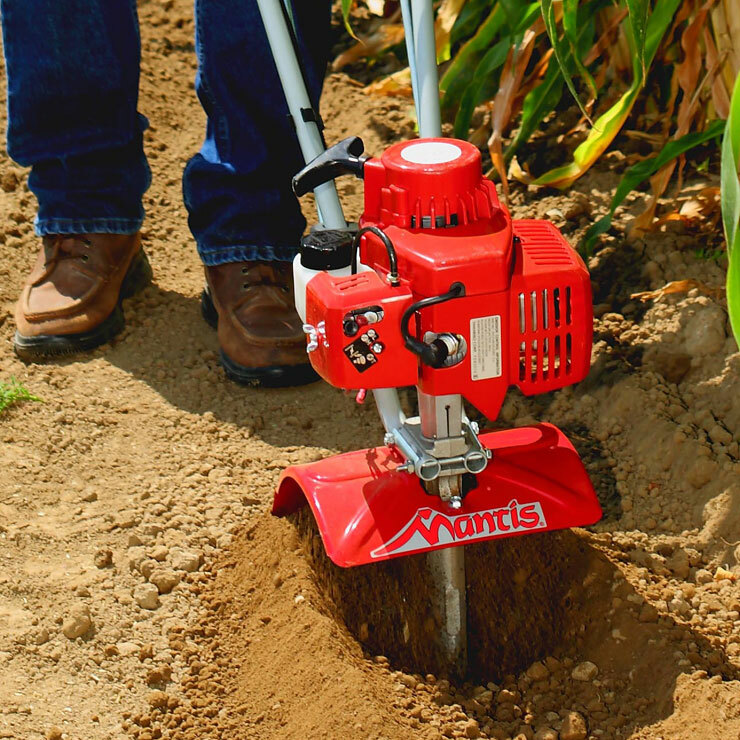 Create better soil; the foundation of better gardening and healthier plants. 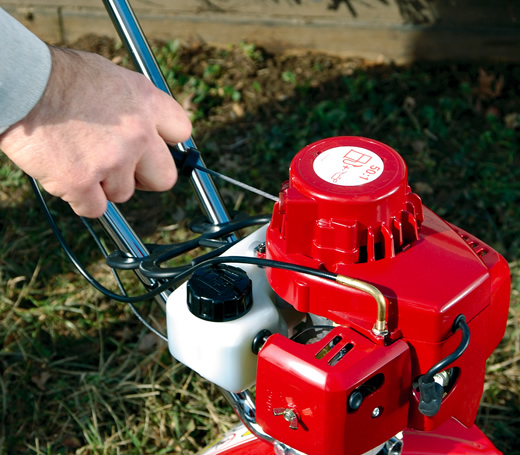 Makes the tiller convenient to store or for transport to the community garden. 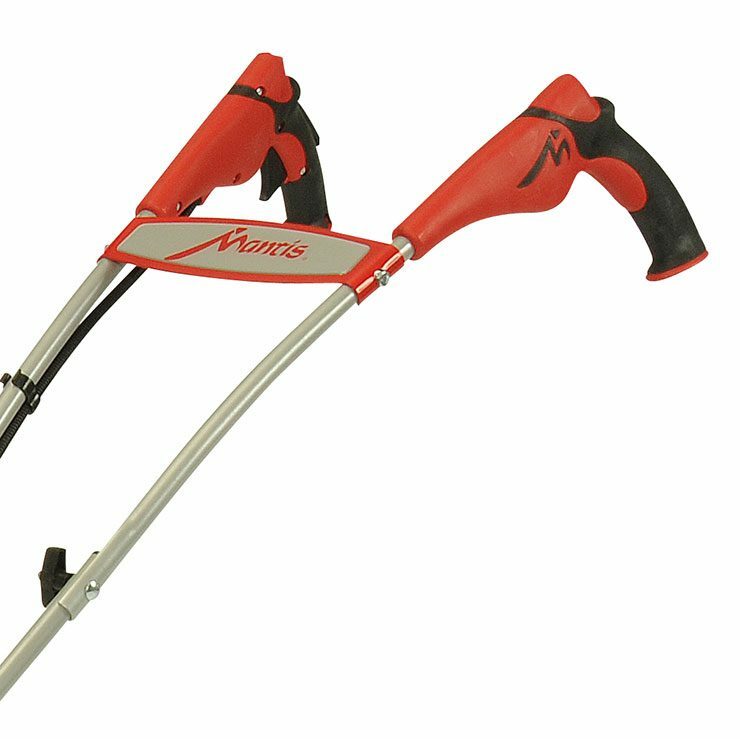 The Mantis Tiller/Cultivator is just 9” wide. Gets into tight places where big tillers can’t go. Lightweight – just 20 lbs. 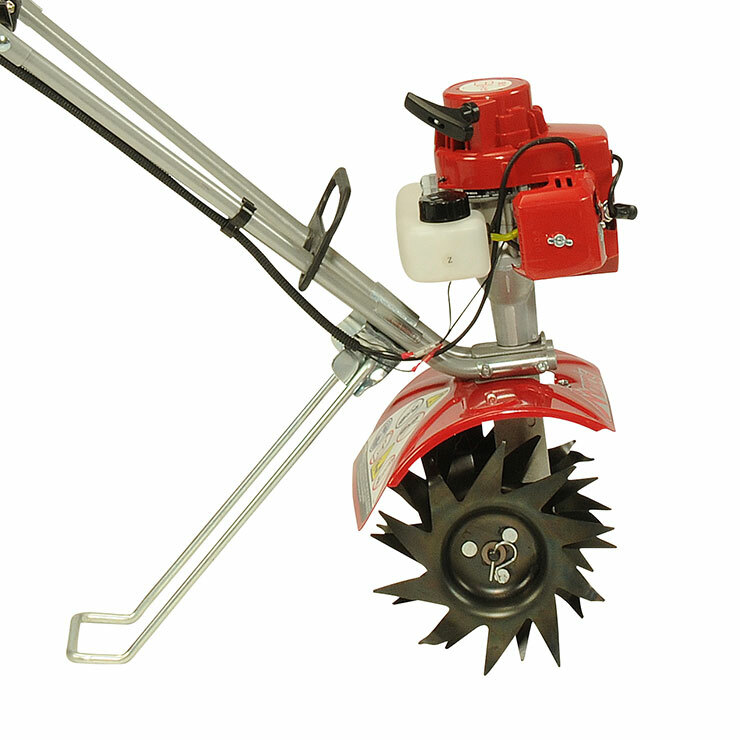 Simply flip the specially designed tines around and your tiller becomes an incredible power-weeder for use all season! 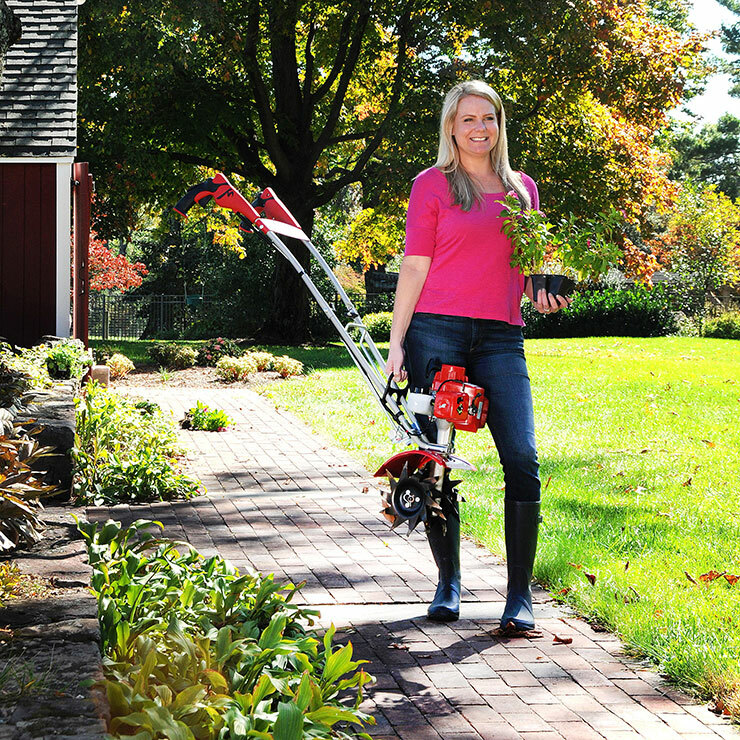 Optional attachments for plowing, lawn aerating and removing thatch add even more versatility.